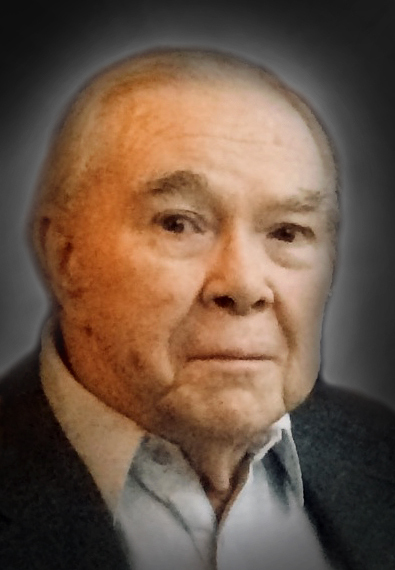 Russell Hampton Gray, age 90, of Holland, PA, passed away peacefully on Sunday, August 19, 2018 at Twining Village in Holland, PA. Born in Johnstown, PA, he lived in Manhattan, New York City, NY for 35 years, then spent his post retirement summers in Johnstown, PA and winters in Tempe, AZ, before moving to Bucks County 15 years ago. After graduating from high school Russell enlisted in the US Army and was active from 1946 through 1948 and again during the Korean War, ultimately proudly serving as a Finance Officer stationed in Paris, France. Russell returned to the United States and graduated from the University of Pittsburgh and began a 35 year career as a Trust Officer with Bankers Trust in New York City. While living in Manhattan Russell developed a love of long walks, Broadway plays, fine dining, French wine and entertaining friends and family. During retirement he enjoyed travelling, playing bridge, and reading. Russell was an avid sports fan and maintained a lifelong love of all things Pittsburgh, especially the Steelers. Russell grew up in a large loving family and was the son of the late Walter and Verda (Varner) Gray, and brother of the late Harry, Walter, Robert, and Ronald Gray and Jane Brown, he is survived by a brother and sister-in-law Ross and Alice Gray of Morrisville, PA, and many loving nieces, nephews, grandnieces and grandnephews. Relatives and friends are invited to attend his graveside service at 10:30 AM on Monday, August 27, 2018 at Washington Crossing National Cemetery. The Rev. Deborah Heffernan will officiate. There will be no calling hours. In lieu of flowers, the family requests memorial contributions, in Mr. Gray’s name, be sent to Twining Village, 280 Middle Holland Road, Holland, PA 18966.